This entry was posted on February 11, 2012 by dilleenmarshwomanartistrenaissance. 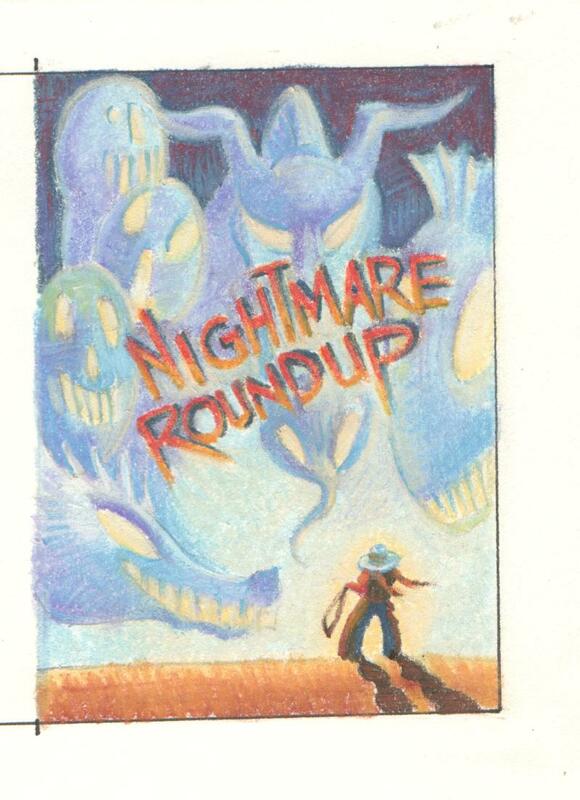 It was filed under Uncategorized and was tagged with book art, book proposal, fear, illustrating a story, lethargy, little girl, nightmares, preliminary drawings, publishing, publishing world, roundup, scary monsters, writing a story. I love the design and complementary colors. You go girl! You are getting there, keep moving forward, you are amazing!!! YOU are amazing. I will keep moving forward. Hope you do too. Here’s hoping you are hired again for next year (if that’s what you want). The children in your classroom are blessed. Keep that upper lip stiff and a twinkle in your eye! By the way, Eldon, the bringer of bread to the Katzs passed away at the grand old age of 91 last Friday. He was truly a GREAT home teacher and loving human being. Thought maybe you might have known him. Love you! Awesome. You go girl. I’ve been looking into publishing too. I’m thinking about purchasing 10 ISBN numbers and publishing my own. I’ve got four books ready to go. Just need to finish up six others. Its cheaper to purchase ISBNs in lots of ten. Its almost necessary to have the books ready when the ISBN is purchased. Good luck with finding publishers. I’ve been turned down by several church publishers. I’ve tried them because my books tend to be religious. So now I’m aiming at self publishing. Let me know how things go for you. Love it! Congratulations on getting it this step!